The Pioneer Brass is an ensemble of various configurations, formed in 1980. The Pioneer Brass Band consists of 2 cornets, trombone, tenor horn, euphonium and tuba, and focuses on the music of the 19th and early 20th centuries. 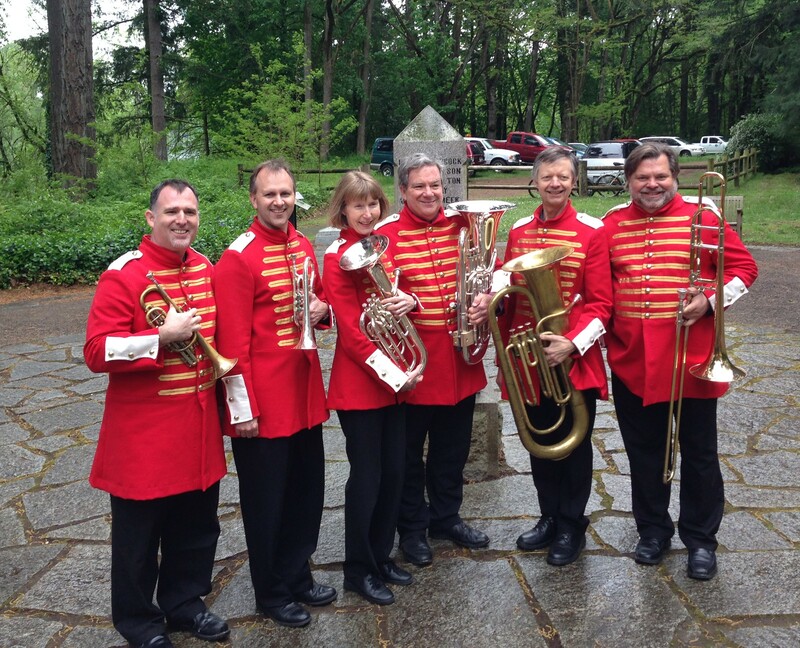 Marches, quadrilles, Stephen Foster songs, music from 19th century Oregon, early jazz favorites, and much more form the core of the band’s repertoire. 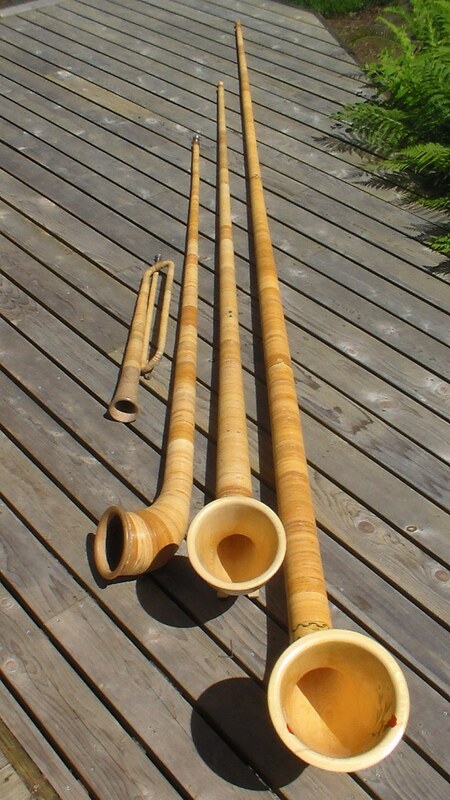 Four of the members also perform on a quartet of Swiss Alphorns (see below.) The Pioneer Brass played a series of concerts in Sapporo, Japan, as cultural representatives from Portland. The cimbasso is a valved bass or contrabass trombone, commonly used in Verdi operas. 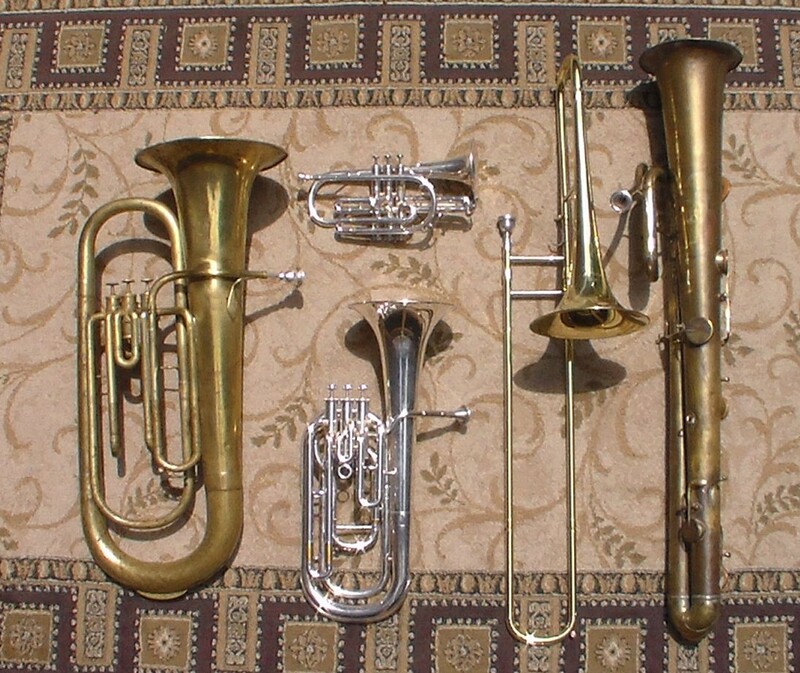 The parts marked “cimbasso,” short for “corno im basso,” were originally intended for a bass horn, a type of upright serpent, but were later played on the valved bass trombone. Eventually the cimbasso name was applied to the more modern valved instrument as the memory of the original instrument began to fade. 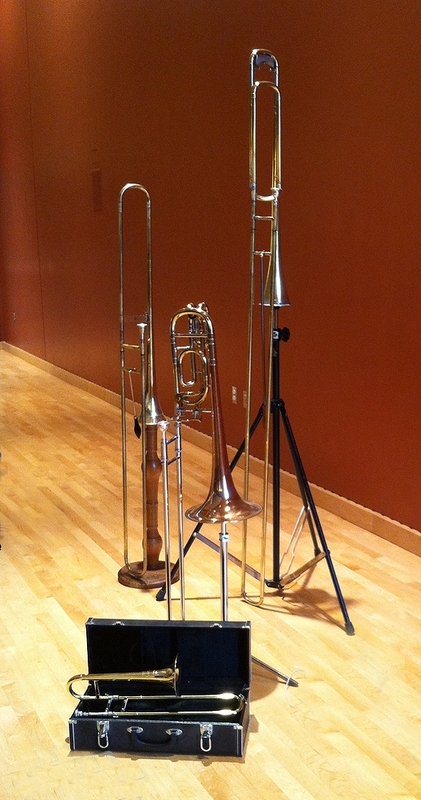 This cimbasso has 5 rotary valves and is pitched in F.
The Pioneer Brass Trombones is a quartet of trombonists that play a variety of sizes of trombones including soprano, alto, tenor, bass, and contrabass. 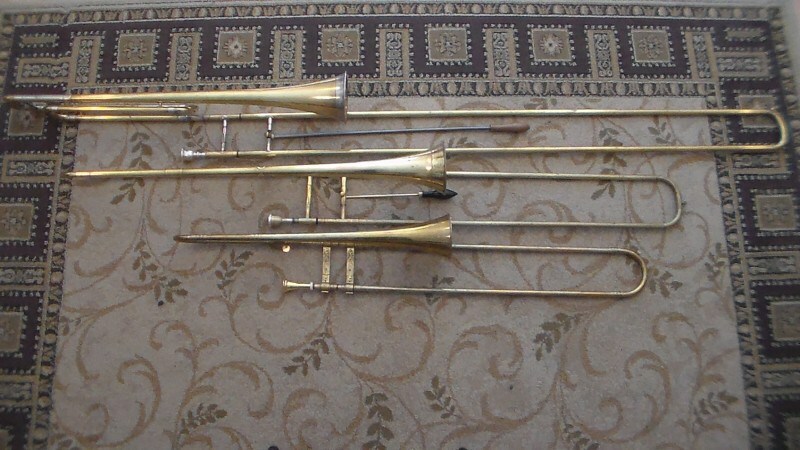 A recent acquisition is the cimbasso, a 5 valved bass trombone in F. They perform in a number of musical genres including classical, ragtime, and jazz. 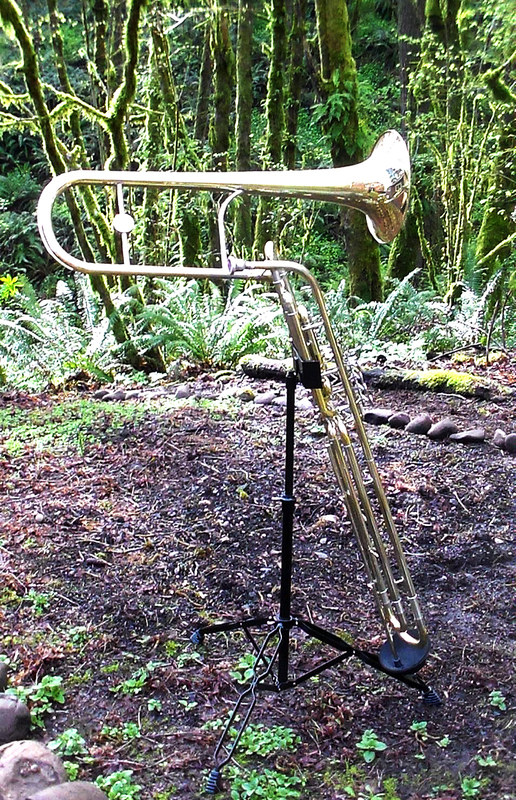 The players, all members of The Oregon Renaissance Band, also perform renaissance music on tenor, bass, and contrabass sackbutts (early trombones), as well as on four Swiss Alphorns. Some of the Swiss Alphorns played by Pioneer Brass: büchel in C, alphorn in Bb, alphorn in F, alphorn in low C.